Is Mariach following Anne Kansiime ? 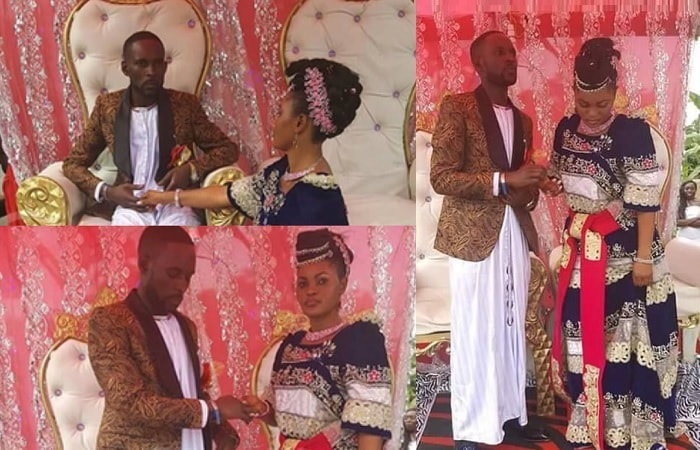 Comedian MC Mariachi's long time lover, Lydia Mirembe Bogere, on Thursday introduced him at her parent's home in Kiyunga Kamuli District. 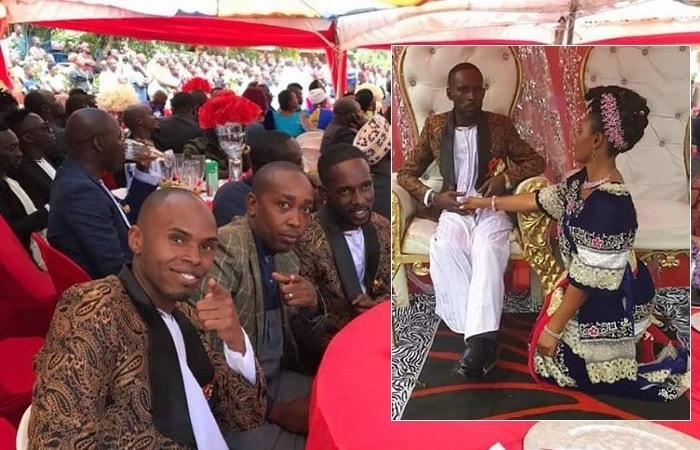 Mariachi, real name, Charles Kasozi was in the company of fellow comedian, Alex Muhangi, who was the best man, they looked smart in their matching tuxedos as other comedians like Madrat and Chico cheered them on. Artists like Evelyn Lagu, Cindy and Geosteady attended. Spark TV's Miles Rwamiti and Bukedde TV's Flavia Namulidwa were also spotted enjoying the event that saw locals gather in large numbers. Mariachi and Lydia's wedding is expected in February 2018 if all goes to plan. The highlight of the function was the mood of Charles and Lydia that left many wondering if the two were up for the event. Like they say, pictures speak louder than words. There was something worryingly wrong about these pics as Mariachi only smiled when he was with the boys as though rehearsing for their next comedy skits, but once the event commenced, you could easily tell that the man who is supposed to make others laugh was gloomy right before the parents of his dear wife. 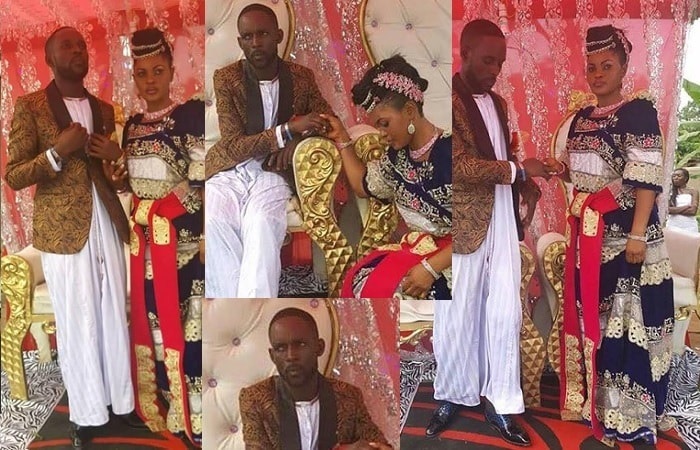 Being the comedian he is, he wanted to be taken seriously, one could think, but then again, this is a function that calls for jubilation as Eddy Kenzo would politely put it, but from the pictorial evidence, Kasozi was on strike. Another comedian, MC Kapale, did not attend the event and on being asked he maintained that he was not invited, so he could not just 'crash land'. He also said quite a lot that could hint on probably why the couple was not happy, but that will be for another day. "You know introduction ceremonies are complicated, they might have asked for a lot of dowry now that he came with ''celebs'' which unfortunately he cannot afford, you can't expect a brother to smile in such a situation.."
"This is what happens when you force someone to introduce you.."
This is proof that even comedians fail to laugh when things don't go well and proof that; when you marry a comedian, it won't necessarily be comedy all through, but Mariachi's failure to even fake a smile at such an event is what has baffled many and coming at the time when another comedian, Anne Kansiime's marriage has hit the rocks just makes it worse.